Pilgrim Lodge, owned and operated by the Maine Conference of the United Church of Christ, is a seasonal retreat center and summer camp located on Lake Cobbosseecontee in West Gardiner, Maine. 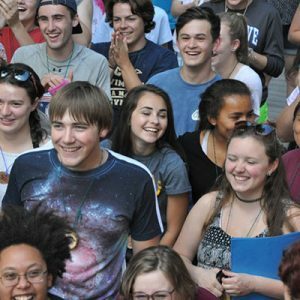 During the summer months Pilgrim Lodge is the central location for the youth ministry program of the Maine Conference. The program also includes trip camps at other locations and weekend events for adults and families. Campers come to Pilgrim Lodge for one-week sessions in the summer. Each session is geared toward a particular age group. The youngest campers have finished second grade and our oldest campers are in high school. Camp operations such as lifeguarding, food service, and maintenance are performed by a trained paid staff. The program directors (known as “deans”) and counselors are volunteers from local United Church of Christ congregations. These leaders change weekly, offering fresh and exciting programming. They are screened and trained by the Outdoor Ministries Team and members of the Pilgrim Lodge staff. 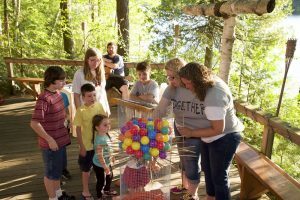 Pilgrim Lodge offers fun and meaningful programming in addition to all the familiar camp activities such as arts and crafts, swimming, boating, nature education, music, and games. The Pilgrim Lodge experience is rich and rewarding for campers, volunteers and staff. We invite you to join us in Christian fellowship. Inspiration is infused into lives through the power of love, nature, and God. Along the shores of Lake Cobbosseecontee, the Maine Conference, United Church of Christ, is blessed to nurture this ministry of inclusion. Amidst all the fun of summer camp, we teach stories from the Bible, as well as critical thinking. We find creative and fun new ways to bring meaning and enjoyment to worship. We celebrate and explore the awesome power of metaphor. We set the table for the feast God offers, without the arrogance of assuming we have all the answers, or that everyone’s experience of God is identical. We encourage and enable people to listen for God; we do not claim to speak God’s voice. Often empowerment comes from recognizing the divine through healthy human connection: Christ is in the eyes and hearts of our neighbors. In seeking, and finding that connection in one another, we recognize it within ourselves. Outdoor ministry has two foundational elements: community and creation. As our culture is increasingly withdrawing from community we believe that intentional periods of living together surrounded by the beauty of the earth, away from the stress and strain of ordinary, technology-centered routines, give our spirits a chance to be open to life in a real and vital manner.